Justice Samuel Alito struggled to suppress a smile. Justice Stephen Breyer buried his head in his hands. Chief Judge Merrick Garland succumbed to a giggle fit. 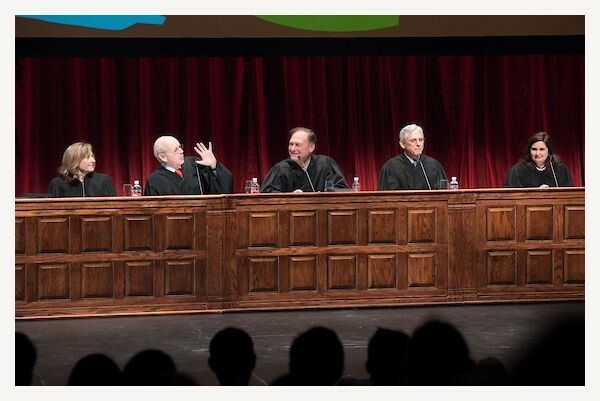 The esteemed panel knew it was in for an unconventional night of jurisprudence when, just a few sentences into her spiel, counsel representing the estate of the Duke of Buckingham referred to King Richard III as “Individual Number One.” The audience at the Sidney Harman Hall burst into applause – a raucous show of enthusiasm from a crowd made up mostly of seasoned appellate lawyers and bespectacled Supreme Court nerds. Twice a year, the Shakespeare Theatre Company hosts a mock trial based on one of that season’s plays. 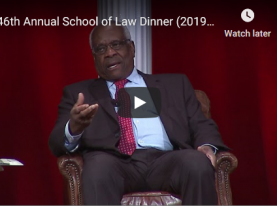 On Monday night, Alito, Breyer, Garland, Judge Jennifer Elrod of the United States Court of Appeals for the 5th Circuit and Judge Amy Jackson of the United States District Court for the District of Columbia presided. The question: whether King Henry VII must return the property and goods Richard III confiscated from the Duke of Buckingham upon Buckingham’s execution. But legal technicalities quickly took a back seat to a riotous comedy revue featuring some very unlikely players. The attorneys shot off Trump joke after Trump joke. The usually circumspect judges did not just crack up — they joined in the comedic dogpile. The first judge to drop a punchline warmed up the room for his colleagues. Pointing out that the Duke of Buckingham received a hearing in Parliament, Garland quipped, “You know, some people don’t even get a hearing.” This wisecrack earned plenty of knee-slapping and a ten-second ovation. 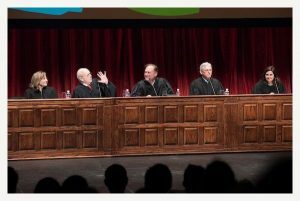 Soon, judges from across the ideological spectrum were diving into the comedic deep end to take on President Donald Trump. Elrod pointed out that Richard III’s legitimacy was questionable because he did not win the popular vote. Garland asserted that Buckingham was never tried because of a government shutdown. And Alito wanted to know if this case involved a compromising dossier. The incongruity theory of comedy suggests that we laugh when confronted with an incompatibility between expectation and reality. Judges are supposed to project a stony-faced sobriety. They must maintain the appearance of neutrality. (After all, as the acting crown prosecutor remarked, there are no York judges and Lancaster judges.) What’s more incongruous than robed magistrates shedding the guise of sober neutrality to play sit-down comic for the night? The opportunity to make jokes liberated these jurists from the chafing constraints of the judicial role. The ideal of judges as impartial umpires calling balls and strikes is far removed from reality. 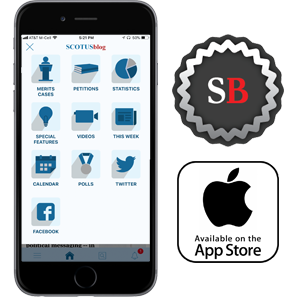 “Your honor, look within yourself,” the acting crown prosecutor urged, adding, “as many members of the bench I think often do for their rulings.” “Where else would you expect to us to look?” Alito shot back. The justice was only kidding, of course. But, per the cliché, a joke is a harsh truth wrapped in a smile. Oh, and by the way: Buckingham lost.